The Philadelphia 76ers have filled a vacancy in their front office. 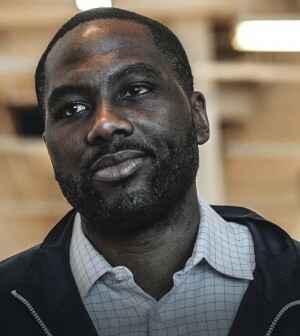 The team announced Tuesday that they have promoted Elton Brand to fill the role of general manager. The surprising move caps off Brand’s quick rise through the ranks of the Sixers front office. The 39-year old, who spent four seasons during his playing career with the franchise from 2008-2012, was initially hired as the player development consultant in December 2016. Just eight months later, he was named the general manager of the Sixers’ G-League affiliate Delaware Blue Coats. After a successful season, he was promoted to executive vice president of basketball operations earlier this season. He left such an impression on head coach Brett Brown and ownership that they couldn’t resist giving him the promotion, despite his limited NBA front office experience. He reportedly beat out Golden State Warriors Assistant GM and Director of Player Personnel Larry Harris. Houston Rockets vice president Gersson Rosas and Utah Jazz assistant GM Justin Zanik.